GREAT MILES 11,210! Ingot Silver Metallic exterior and Dark Earth Gray interior. Turbo, 4x4, Tow Hitch, CLASS IV TRAILER HITCH RECEIVER, ENGINE: 2.7L V6 ECOBOOST. AND MORE! 4x4 Electronic Stability Control, Brake Assist, 4-Wheel ABS, Tire Pressure Monitoring System, 4-Wheel Disc Brakes. ENGINE: 2.7L V6 ECOBOOST start/stop system, 3.55 Axle Ratio, GVWR: 6,500 lbs Payload Package, CLASS IV TRAILER HITCH RECEIVER smart trailer tow connector and 4-pin/7-pin wiring harness. 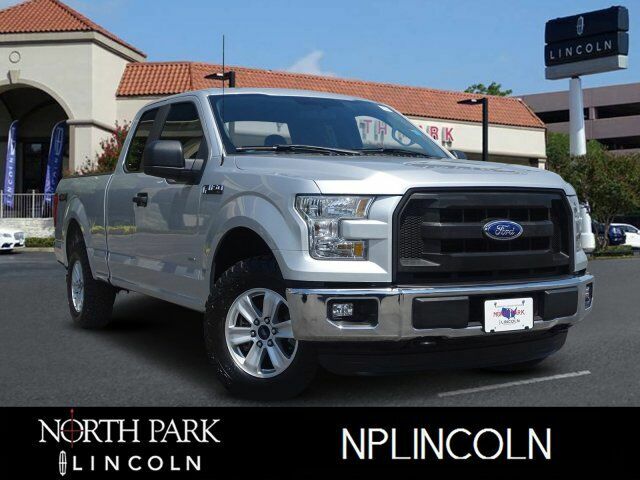 2015 Ford F-150 with Ingot Silver Metallic exterior and Dark Earth Gray interior features a V6 Cylinder Engine with 282 HP at 6250 RPM*. CARFAX 1-Owner Edmunds.com explains Everything in the interior is ergonomically designed in such a way that there`s a padded armrest exactly where you`d want it, and frequently used controls are located right where your hand would instinctively reach for it..